East Greenbush – Patricia “Helen” (Kammerdiener) Lutz, 80, passed away on Thursday, November 15, 2018, at St. Peter's Hospital after a complication from surgery. Born in Kittanning, PA, she was the daughter of the late Boyd Kammerdiener and Marjorie McGranahan Kammerdiener and wife of the late John W. Lutz. 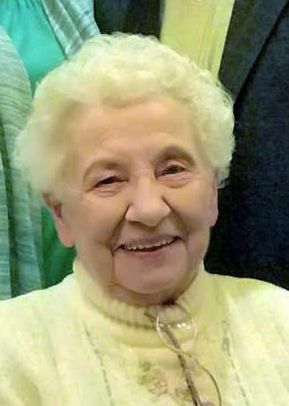 She was raised in Pennsylvania and resided in Chicago and Troy and lived the past 11 years in East Greenbush. As a young girl she attended a one-room schoolhouse and graduated from Kittanning High School in Kittanning, PA.
Helen was a payroll clerk at the New York State Workers Compensation Board in Menands for 22 years, retiring 18 years ago. She was active in the Troy and Brunswick Bocce Leagues and the Troy and Watervliet Senior Centers. She loved to bake and planning family gatherings, she threw a special annual family Thanksgiving dinner, most of all she enjoyed spending times with family especially her grandchildren. Survivors include a son, John M. (Michelle) Lutz, Loudonville; grandchildren, Olivia, Amelia and Kiera Lutz and her sibling’s sister Susan Ziegler, Illinios and brother Bernard Kammerdiener, Pennsylvania. She was predeceased by three sisters, Marybell Sheasley, Katherine Harris and Grace Polinski. Relatives and friends may call at the Bryce Funeral Home, Inc. 276 Pawling Avenue Troy on Monday, November 19, 2018 from 4-7 PM. Funeral service will be held Tuesday at 10:45AM at the funeral home and at 11:30AM at St. Pius X Church in Loudonville where a Mass of Christian Burial will be celebrated by Rev. Jim Walsh. Interment will be in the St. Peter's Cemetery in Troy. In lieu of flowers contributions may be made in memory of Patricia Helen Lutz to the St. Jude Children's Research Hospital 501 St. Jude Place Memphis, TN 38105.